For other people named Abdisho, see Abdisho (disambiguation). Mar Abdisho IV Maron (Classical Syriac: ܥܒܕܝܫܘܥ ܪܒܝܥܝܐ ܡܪܘܢ) was the second Patriarch of the Chaldean Catholic Church, from 1555 to 1570. Abdisho, whose name is spelled in many different ways (Abdisu, Abd-Jesu, Hebed-Jesu, Abdissi, Audishu) meaning Servant of Jesus, was born in Gazarta on the River Tigris, son of Yohannan of the house of Mari. He entered in the monasteries of Saint Antony and of Mar Ahha and Yohannan,:349 and in 1554 was consecrated metropolitan bishop of Gazarta by Shimun VIII Yohannan Sulaqa. After Sulaqa's death in 1555, Abdisho was elected patriarch of the Chaldean Church. He could travel to Rome only in 1561. On 7 March 1562 Abdisho made a profession of faith in front of pope Pius IV and on 17 April 1562 he received from the pope the pallium, the sign of the confirmation of his election. In a letter of him dated 1562 to the pope he listed thirty-eight dioceses under his rule, ranging from the Ottoman Empire to the Persia and India. Modern scholars suggest that the actual dioceses could be only about fourteen, and the error in the list was due to a probable mistake in translation from Syriac to Latin. He preferred to return to his church without waiting for attending the next session of the Council of Trent, where, on 17 Sept 1562 (XXII session), was given a detailed account of what he narrated about his Church and his faith. The Portuguese bishops excepted when it was narrated that Abdisho considered the jurisdiction of the Church of the East wide-ranging up to South India. About his reign, we know that in 1565 the pope confirmed the use of the traditional Chaldean uses and rites, and that he moved the See from Amid to the monastery of Mar Yaqub Khbhisha near Siirt. Among the different possible dates of Abdisho's death, Murre suggests the 11 September 1570. 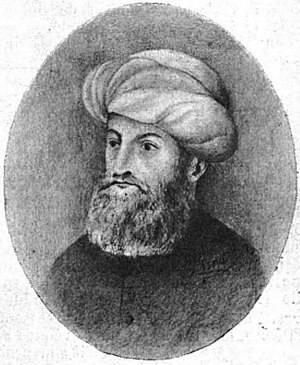 Abdisho left a poem in which he narrated the events of Yohannan Sulaqa's life. He should not be confused with Abdisho bar Berika who lived in the 13th - 14th century and was a prolific writer. Abdisho is a character in Hans Pfitzner's opera Palestrina, in which he is one of the prelates attending the Council of Trent. ↑ Wilmshurst, David (2000). The Ecclesiastical Organisation of the Church of the East, 1318-1913. Peeters Publishers. ISBN 978-90-429-0876-5. ↑ Michael Walsh (ed.). Dictionary of Christian Biography. Continuum. p. 2. ISBN 0826452639. ↑ Sarpi, Paolo (1858) . Storia del Concilio tridentino: ridotta alla primitiva lezione, con la vita scritta da Fra F. Micanzio. 3. Pubblicato da Barbèra Bianchi. p. 387. Retrieved 2009-02-09. ↑ Rassam, Suha (2005). Christianity in Iraq: Its Origins and Development to the Present Day. Gracewing Publishing. p. 109. ISBN 978-0-85244-633-1. ↑ 5.0 5.1 Heleen H.L. Murre. "The Patriarchs of the Church of the East from the Fifteenth to Eighteenth Centuries". Hugoye: Journal of Syriac Studies. Retrieved 2009-02-04. This page was last modified on 18 May 2015, at 21:34.